Welcome back listeners! We are refreshed after our break and excited to bring you a shiny new interview. 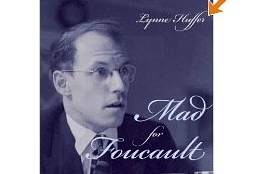 We are chatting with Lynne Huffer about her most recent book, “Mad For Foucault.” It’s a delightful interview full of queer theory, Foucault (of course), and a discussion on form. One of our favorites.